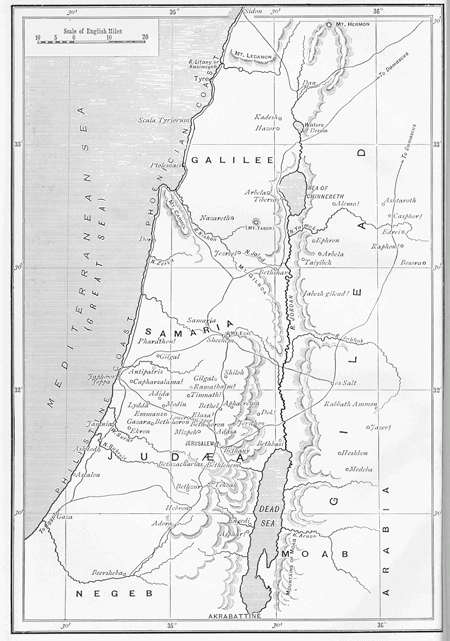 Professor Archibald Sayce’s Patriarchal Palestine applies the (then) recent archaeological discoveries in Babylonia and Assyria to illustrate the biblical accounts of Genesis. The frontispiece map is particularly helpful, so I have extracted this and made is available as a separate download at various resolutions. This title, kindly provided by Book Aid, is in the public domain. A few years ago the subject-matter of the present volume might have been condensed into a few pages. Beyond what we would gather from the Old Testament, we knew but little about the history and geography of Canaan before the age of its conquest by the Israelites. Thanks, however, to the discovery and decipherment of the ancient monuments of Babylonia and Assyria, of Egypt and of Palestine, all this is now changed. A flood of light has been poured upon the earlier history of the country and its inhabitants, and though we are still only at the beginning of our discoveries we can already sketch the outlines of Canaanitish history, and even fill them in here and there. Throughout I have assumed that in the narrative of the Pentateuch we have history and not fiction. Indeed the archaeologist cannot do otherwise. Monumental research is making it clearer every day that the scepticism of the so-called “higher criticism ” is not justified in fact. Those who would examine the proofs of this must turn to my book on The Higher Criticism and the Verdict of the Monuments. 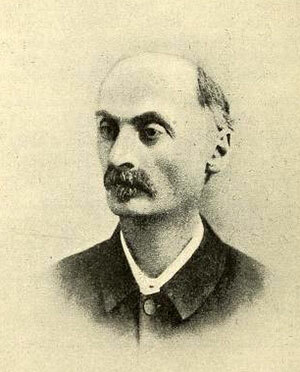 Archibald Sayce [1845-1933] was Professor of Assyriology at Oxford University for 28 years. I recently came across offprints of four of his articles from the Royal Asiatic Journal and am pleased to be able to make them available here. They are all in the public domain. Archibald Henry Sayce [1846-1933], “The Origin of the Hebrew Alphabet,” Journal of the Royal Asiatic Society No. 3 (July 1920): 297-303. Archibald Henry Sayce [1846-1933], “Geographical Notes,” Journal of the Royal Asiatic Society No. 1 (Jan. 1921): 47-55. 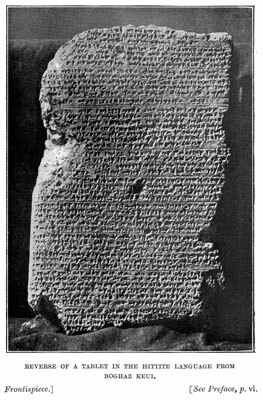 Archibald Henry Sayce [1846-1933], “The Discipherment of the Hittite Hieroglyphic Texts,” Journal of the Royal Asiatic Society No. 4 (Oct. 1922): 537-572. 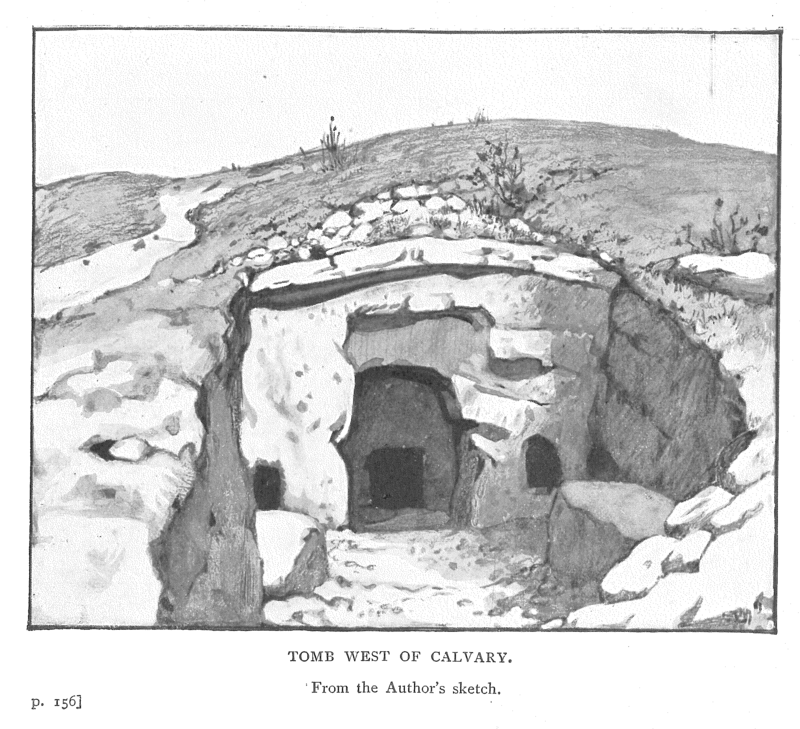 Archibald Henry Sayce [1846-1933], “The Libraries of David and Solomon,” Journal of the Royal Asiatic Society No. 4 (Oct. 1931): 783-790. I am developing an on-line bibliography of Archibald Sayce’s works on this page, where you find links more of his books and articles. 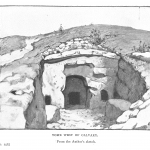 The Palestine Exploration Quarterly provides a unique record of the early days of archaeology in the Holy land from 1869 onwards. As it is published in the United Kingdom it is covered by the ‘standard life of author + 70 years’ copyright. This means that much of the early material is now in the public domain – though this has to be established by finding out when all the authors died. As this is a time-consuming process and the issues often have pull-out maps, the process of digitisation has been somewhat slower than usual. I have just added the public domain material from the 1914-1920 issues to the website (click to access the table of contents). 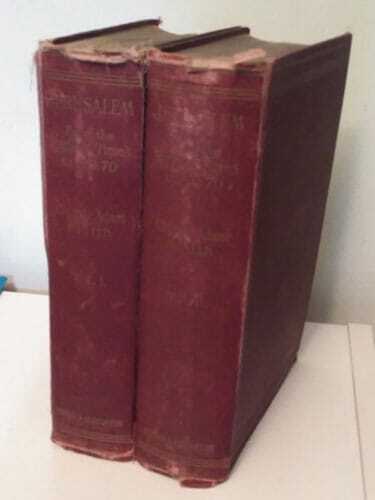 George Adam Smith’s 2 Volume work Jerusalem. The Topography, Economics and History From The Earliest Times to A.D. 70 is now available in PDF. Both volumes contain some superb photographs and maps dating from the early 1900s. George Adam Smith [1848-1910], Jerusalem. 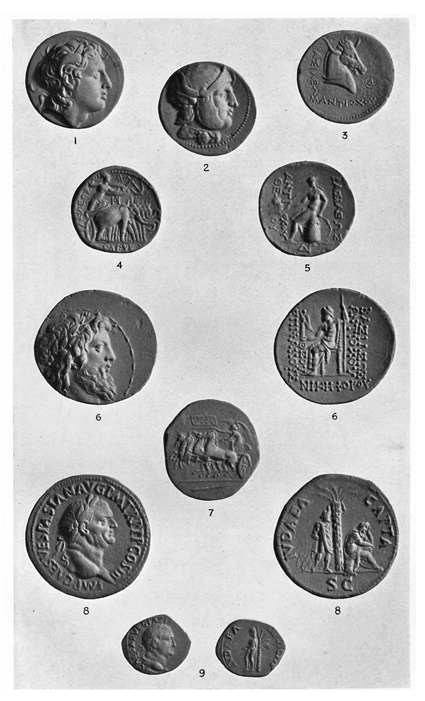 The Topography, Economics and History From The Earliest Times to A.D. 70, Vol. 1. London: Hodder & Stoughton, 1907. Hbk. pp.334. Visit the Download page. George Adam Smith [1848-1910], Jerusalem. The Topography, Economics and History From The Earliest Times to A.D. 70, Vol. 2. London: Hodder & Stoughton, 1907. Hbk. pp.631. Visit the Download page. 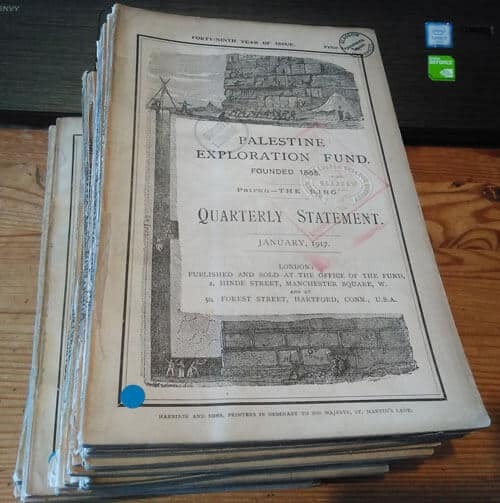 Particularly useful is the General Plan of Jerusalem which is in pouch at end of Volume 1 produced by the Palestine Exploration Fund. You will find a 600dpi version along with the files from Volume 1. 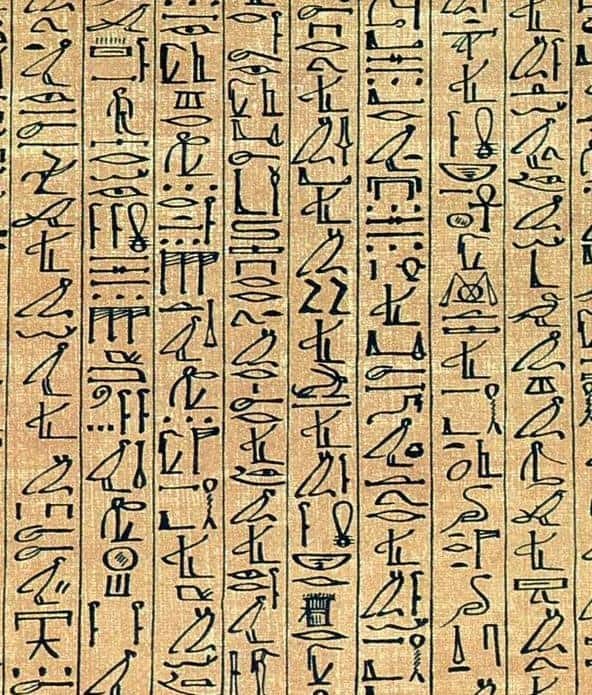 After the Return, 536-444 B.C. From Nehemiah to the Maccabees, 431-168 B.C. The Reconstitution of Israel, 168-142 B.C. The Hasmonean Dynasty, 142-63 B.C. General Index to Volume I.
I. The Prelude-Abd-Khiba, c. 1400 B.C. II. The Conquest by David, c. 1000 B.C. III. Solomon and the Temple, c. 970-933 B.C. IV. From Rehoboam to Ahaz, c. 933-720 B.C. XIII. Ezra and Nehemiah, 458 (? 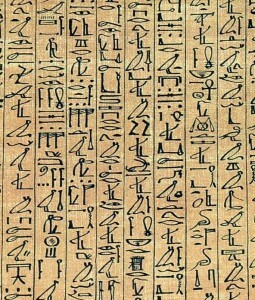 )-431 B.C. XIV. 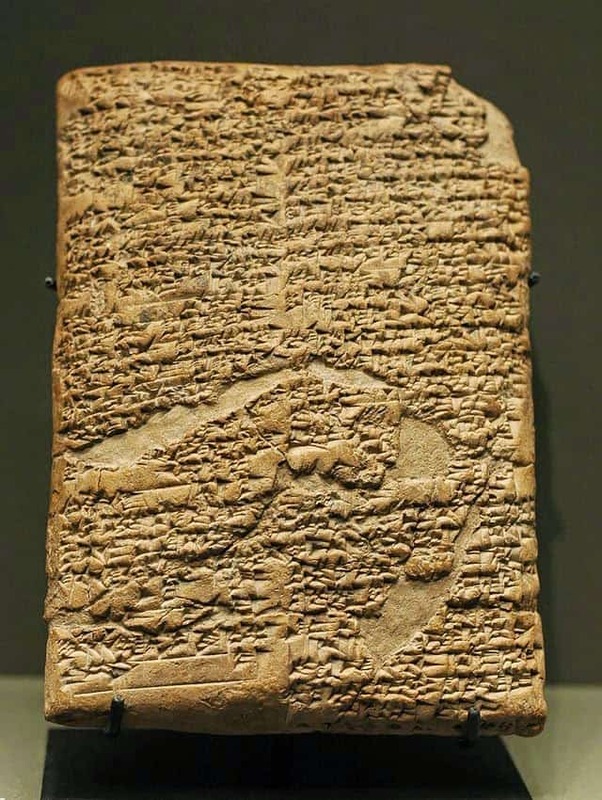 The Rest of the Persian Period, 431-332 B.C. XV. The Jew and the Greek, 332-168 B.C. XVI. 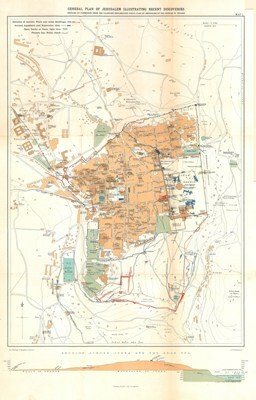 Jerusalem Under the Maccabees and the Hasmoneans, 168-38 B.C. XVII. Herod, the Romans and Jerusalem, 37-4 B.C. The book contains many excellent illustrations, which I have made available at various resolutions. C.R. Conder [1848-1910], The City of Jerusalem. London: John Murray, 1909. Hbk. pp.334. Col. Claude R. Conder, a British Soldier seconded to the Palestine Exploration Fund (1875-78, 1881-82) writes about the history of of Jerusalem calling on his own experiences exploring the city. I first set eyes on Jerusalem one summer morning in 1872. The view – a mile away – of the long grey wall, the cypress trees of the Armenian garden, and the single minaret at the west gate, was not then obstructed by the row of Jewish cottages since built. The population was only about a third of what it now is. The railway station was not thought of, and only a few villas outside the gate existed, while the suburbs to north and south had not grown up, and Olivet was not covered with modern buildings. I passed two winters (1873-5) in the city, the second in a house in the Jews’ quarter, and later on (1881-2) a third winter at the hotel; and during these visits my time was mainly occupied in wandering among the less-known corners of the town. It was a period very favourable for exploration. The survey by Sir Charles Wilson, the researches of de Vogue, and the wonderful excavations of Sir Charles Warren, were then recent. The German Emperor, William I., had just ordered the clearing out of the eastern half of the great square of St. John’s Hospital, having been given by the Sultan the site of Charlemagne’s hospice beside the Church of St Mary Latin. In 1874 Mr. Henry Maudeslay was exploring the ancient scarps at the south-west corner of the Hebrew city; and, by the Sultan’s order, the Dome of the Rock-deconsecrated for a time-was being repaired, while other excavations were in progress outside the city on the north. I was thus able to walk in my socks all over the surface of the sacred Sakhrah “rock,” and to ascend the scaffolding to the dome above, in order to examine the ancient mosaics of our seventh century, as well as those on the outside, where the old arcaded battlement of the ninth century was just laid bare. I penetrated, by the old rock-cut aqueduct at the north-west corner of the Haram, to the Herodian wall, and discovered the buttresses of the Temple rampart still standing, and just like those at Hebron. In the Jews’ quarter I found the old hospice of the Teutonic Order, and the chapel of the Holy Ghost…. Robert H. Kennett [1864-1932], Ancient Hebrew Social Life and Custom as Indicated in Law, Narrative and Metaphor. The Schweich Lectures of the British Academy 1931. London: Oxford University Press, 1933. Hbk. pp.114. Click <<HERE>> for the download link. You can see the full list of the Schweich lectures here. T. Eric Peet [1882-1934], A Comparative Study of the Literatures of Egypt, Palestine, and Mesopotamia: Egypt’s Contribution to the Literature of the Ancient World. The Schweich Lectures 1929. London: Oxford University Press, 1931. Hbk. 136. Click <<HERE>> to visit the download page. 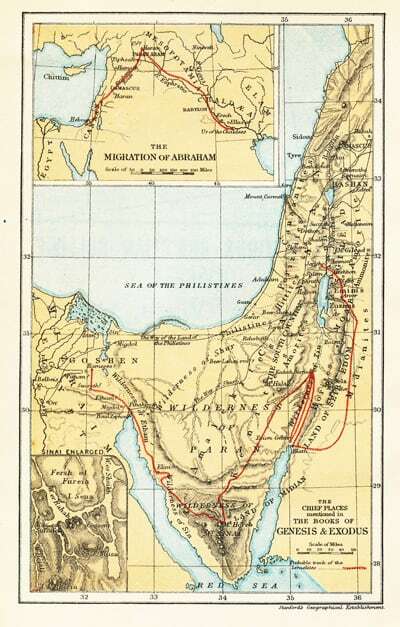 Israel Abrahams [1858-1925], Campaigns in Palestine from Alexander the Great. Schweich Lectures 1922. London: Oxford University Press, 1927. Hbk. pp.55. The book has a couple of useful illustrations which I have uploaded in various resolutions so that they can be re-used. This material is now Public Domain.